This EPA Approved Training Program provides everything your business needs to train your agricultural workers. This video program comes in both English and Spanish and trains unlimited workers. Includes Handler Training Guide and Tracking System at No Extra Cost! *Handler training materials are linked within the training software and provided to the agricultural industry for free by Iowa State University & PERC. This program aids in the execution, organization, and documentation of all training. This EPA Approved Training Program provides everything your business needs to train your agricultural workers. This video program comes in both English and Spanish and trains up to 25 workers. This program will make training your agricultural workers on the Worker Protection Standard extremely easy and straightforward. You will no longer need to worry about scheduling the training, organizing the logistics, or tracking records and paperwork, this system does it all. We handle the paperwork and provide all EPA required documentation. We store all certificates and documentation so you don't have to. This training can be used as often as needed and accessed from anywhere. $159 trains up to 25 employees & $399 trains unlimited employees in English AND Spanish. 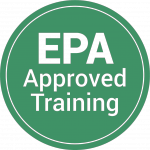 This training solution provides everything you need to train workers under the EPA's Worker Protection Standard (WPS). This program is designed to inform your workers about safety methods and procedures that must be followed when working in an agricultural setting. It provides a clear and concise way to train workers on the specific information they need to know while providing the facility with an easy way to present, track and organize all worker training and the required documentation. State, Tribal, or EPA-Designated Trainer of Applicators, or handlers. Use this product only in accordance with its labeling and with the Worker Protection Standard, 40 CFR 170. More information may be found at the EPA Agricultural Worker Protection Standard website, or you may reach the EPA at one of the regional offices listed below. Not sure what region you're in? Click here. Who is required to provide WPS training? Does the Worker Protection Standard requirement apply to organic farming?